[OSLO 30 October 2017] Data centers may benefit strategically, commercially and financially from an extensive and ambitious approach to green computing. A financially motivated GREEN strategy has five building blocks: Grid Services, Renewable Inputs, Energy efficiency, Environmental friendly materials, Net zero energy solutions. First, data centers typically have capacities that are potentially valuable to the electrical grid. Data centers have local generation capacity that automatically helps stabilizing the grid as on-site production reduces the load on the grid if there is an unbalance. Batteries installed in UPS-systems can serve as an energy storage which is a valuable complement to intermittent renewable power generation based on hydro, wind and solar energy. Second, purchasing renewable electricity makes a significant difference to the carbon footprint of computing. As large consumers of electricity, data centers have an impact on the supply of renewable electricity either by purchasing power from plants that would otherwise not have been built or by purchasing power in markets where renewable power supply will expand as a market response thanks to supporting incentives and regulations. Third, the ongoing structural change that is caused by the growth of IT-as-a-Service has significant implications for efficiency. Virtualization and cloud services have reduced the number of dormant servers and increased utilization many times. As a result, the same services can be provided with less energy and less inputs. Fourth, inputs to data centers include not only electricity but also machinery and construction materials. Designing and building data centers that use space efficiently make one contribution to green computing. Avoiding concrete and choosing recyclable materials and climate-friendly refrigerants make another. Fifth, net zero is feasible. This is rather trivial from the perspective of Physics as very little mechanical work is done by ICT-equipment. Instead, essentially all electricity is transformed to heat. By harvesting and recycling – rather than rejecting – the heat, a data center can close-the-loop and preserve energy, thus reaching a net zero energy outcome. In Northern Europe, sustainable solutions tend to be commercially and financially motivated. Green computing is, simply put, good business. Data centers having a strategy to contribute to green computing have several advantages, including (i) a lower net cost of computing as a result of heat recovery and grid services that generate additional revenue; (ii) lower legal, regulatory and political risk in the European political context; (iii) a stronger local connection that expands the scope for legitimate growth over time thanks to positive synergies – such as grid services and heat recovery – that benefit the neighborhood or the municipality; (iv) a lower cost of green financing with investments in sustainable and environmentally friendly infrastructure and last, but not least, (v) greater demand from customers making conscious choices to offer end-users the attractiveness of “clicking green”. 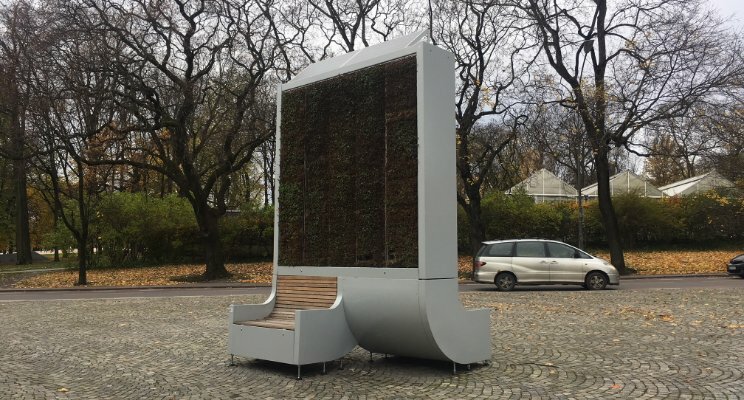 Stockholm offers an interesting commercial and technical test bed for green computing. There are ongoing changes and upcoming possibilities in all five areas of green computing discussed in this article. First, the TSO – i.e. Swedish national grid operator SVK – is considering opening the market for the Frequency Containment Reserve allowing private companies to provide balancing services that would give them additional revenues from local energy storage and load management capabilities. Second, large data centers have direct access to renewable energy generation with a forecasted expansion of wind power in Sweden of approximately 2000 MW during 2017-2020. The 9133 MW permitted, yet to be constructed, onshore wind power projects in Sweden gives further room for extensive renewable energy supply. Third, an emerging market for highly efficient Stockholm-based hyperscale data centers can be seen with the forthcoming AWS cloud region and the forthcoming Multigrid wholesale region. Fourth, recent examples of changes that make buildings more sustainable include green roofs used to handle storm water and non-evaporative or closed-loop cooling to save potable water. Fifth, large scale heat recovery to the district energy network – marketed as “open district heating” – gives a unique opportunity to turning waste heat into revenue while also reducing the carbon footprint of computing.